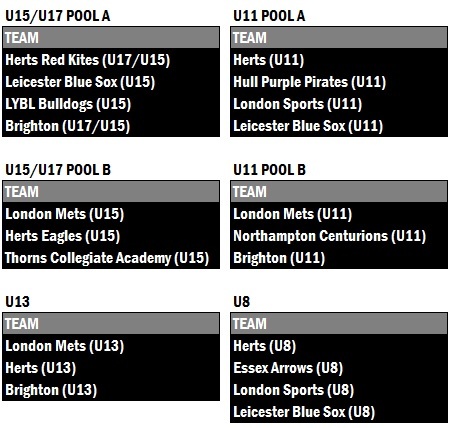 21 teams will be in action at the 2018 Herts Futures Tournament (HFT) which will take place this Saturday, 22 September 2018. This is a new record for the tournament so Herts Baseball Club will have to stat looking into how to expand the venue somehow. The opening ceremony will take place at 10:30am. The first games begin at 9:00am and the Finals will be played at around 4:30pm. To view the games schedule click here. Traditional Baseball snacks will be on offer including chilli dogs, Krispy Kreme Donuts and more. Imported baseball merchandise will also be on sale at the Herts Baseball shop. 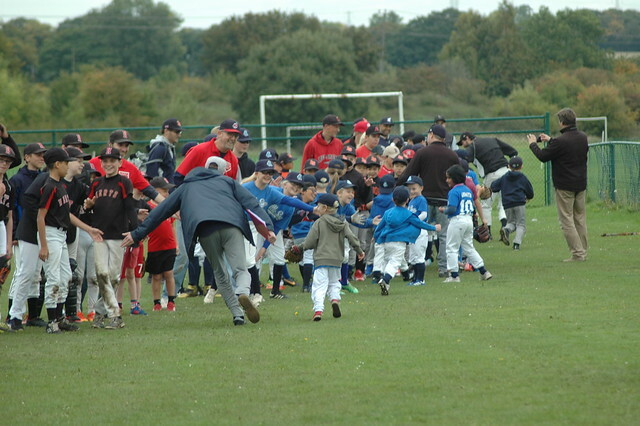 The HFT has been held every year since 2008 and is now a permanent fixture in the British baseball calendar. 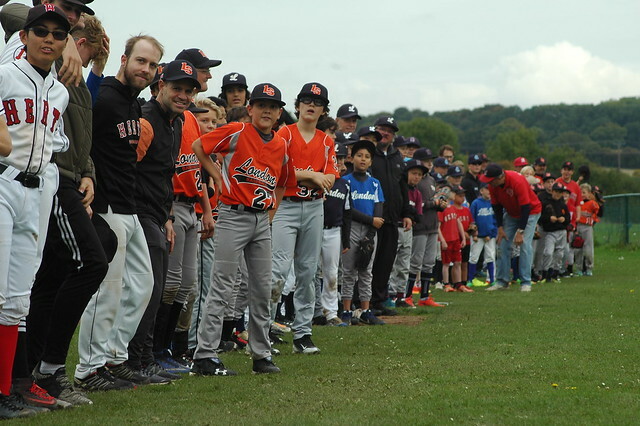 It brings together youth teams of all age groups from across the country for a day of baseball at one of the best baseball venues in the United Kingdom. For more information about the event visit the Herts Futures Tournament homepage. Previous Topic: Hunlock Series managers announced. The Live Draft is on Monday.